Dr Stuart Lee, an English lecturer at the University of Oxford, has been awarded a National Teaching Fellowship from the Higher Education Academy for his work bringing medieval texts and other literature to life for students through modern technology. Dr Lee, a member of the English faculty and also the Director of Computing Systems and Services for the University, teaches courses ranging from Old English literature to the poetry of the first world war to electronic publishing. He has been extremely successful in bringing IT and e-learning into his teaching, merging the online with Oxford’s traditional teaching systems. He was one of 50 people to get the award from the Higher Education Academy, and will receive an award of £10,000 for professional development in teaching and learning. Dr Lee created the first web-based tutorial to teach English literature in 1994, and between 1996 and 1998 managed the award-winning online project which digitized the poetry manuscripts of Wilfred Owen. The project was expanded in 2007 and 2008 to include other major poets. To assist his students, Dr Lee created an online Old English Coursepack, and has been pioneering in the use of podcasts at Oxford. His medieval lectures have been in the top ten higher education downloads in iTunes for the past three years, and he led Oxford’s engagement in iTunesU. He has published widely on e-learning, with particular reference to teaching English, and has run several major projects. He is keen to support other teachers who may wish to use the new technologies in their own teaching or research. As recognition of this, he was presented with a Teaching Award by Oxford in 2008 for his outstanding contributions to teaching and learning, and in the same year was made Oxford’s first Reader in E-learning and Digital Libraries. As well as teaching, Dr Lee has written textbooks on medieval literature, the works of JRR Tolkien, digital imaging, and electronic library development. However, he says that his first love is teaching, and conveying his enthusiasm for the subject of English literature to his students. Click here to listen to Dr. Lee's Medieval English Lectures. Archaeologists believe that bones discovered at Stirling Castle may have belonged to a young knight killed in battle or during a siege. Even though the warrior was probably only in his mid-20s he appears to have suffered several serious wounds in earlier fights. Indeed, he may have been living for some time with a large arrowhead in his chest. Bone re-growth around a dent in the front of the skull suggest he had recovered from a severe blow, possibly from an axe. The fatal wound, however, occurred when something, possibly a sword, sliced through his nose and jaw. The skeleton was excavated in 1997 when archaeologists were working in an area of the castle which turned out to be the site of a lost medieval royal chapel. Some research was carried out at the time, and though the information gleaned was limited it was recognised that the remains were of interest and merited future study. Advances in technology and analytical techniques led to a recent re-examination of the skeleton for which the results are now available. This has included minute recording by laser scanning carried out by Colin Muir of Historic Scotland’s Technical Conservation Group. In addition to the three serious wounds, it seems the man had also lost a number of teeth – perhaps from a blow, or a fall from a horse. A large, tanged arrowhead was found in skeleton and appears to have struck through the back or under the arm. Crystalised matter attached to the arrowhead may have been from flies or other insect larvae and could have been from clothing the arrow forced into the wound. Little is known about who the man was or where he came from – he need not even have been a Scot. Further study is planned on tooth enamel and bone samples which may shed light on his origins. The man appeared to have been buried in the same grave as a small boy of one to three years old. Archaeologists cannot be certain that the two were linked but radiocarbon dating suggests both date from the early 15th century, and there was no evidence of one grave having been cut through the other. They were part of a group of 12 skeletons, some highly fragmentary, which were discovered. Among them was a female, probably buried some time in the 13th century, who had two neat, square holes through her skull which were consistent with blows from a war hammer. The area of the castle where the bones were discovered is now known as the Governor’s Kitchen. There was strong evidence that this was built around a medieval structure. There are known to have been several chapels at the castle, one dedicated to St Michael. The excavation which revealed the skeletons was part of the long-term Historic Scotland project to discover more about the castle’s past and to inform its work to further enhance its appeal as a world-class visitor attraction. A central part of this work is the £12 million Stirling Castle Palace Project, which aims to return the castle’s royal palace to how it may have appeared in the mid-16th century. The palace is currently closed to the public and is due to reopen in 2011. Scottish newspapers have been reporting that medieval Scots who fought in battles like Bannockburn, and Flodden Field would have looked very different to the way they have traditionally been depicted. Instead of kilts, he said they wore saffron-coloured tunics called "leine croich" and used a range of ingredients to get the boldest possible colours. Historian Fergus Cannan claims that some warriors even dyed the garments with horse urine in order to get the boldest possible colours. Cannan, who claims he can trace his family roots back to the legendary monarch Robert the Bruce, makes the case for a saffron rather than a tartan army in the forthcoming book Scottish Arms And Armour. He asserts that the Scots armies who fought in the pivotal battles of Bannockburn and Flodden Field would have looked very different to the way they have traditionally been depicted. Cannan said: "What the Scottish soldiers wore in the country's greatest battles is an area that, up until now, has not been properly studied. We know quite clearly what happened at Bannockburn and Flodden, but visual images of these hugely important episodes are very vague and have been muddled by 19th and 20th interpretations which put a romantic gloss on Scottish history. A lot of historians quite rightly stated that the film Braveheart was not terribly accurate, but what they didn't admit was that they didn't have a clue what would be accurate." The military history specialist scoured original medieval eye-witness accounts, manuscripts, art, sculptures and tomb effigies to build up a picture of what members of Robert the Bruce's forces would have worn in 1314. He was keen to debunk both the "Braveheart stereotype" of blue-faced, kilted hordes and the revisionist suggestion that medieval Scots soldiers were almost indistinguishable from their English opponents. He said: "I believe both of these views are equally wrong. There is no need for this period to be shrouded in mystery as there is a wealth of evidence out there, which appears to have been almost completely ignored and overlooked. "Forget about the plaid and tartan. What Highlanders did wear when they went into battle throughout the Middle Ages, right up until the end of the 16th century, was what English writers refer to as saffron war shirts, known in Gaelic as leine croich." Cannan claims there were numerous contemporary references to the distinctive linen tunics which were usually worn with a belt round the middle. "The yellow war shirt is never shown in any film or popular image and yet it is something that all the original writers comment on. Saffron was a rare and expensive item to get hold of back then, so the poorer clansmen would have dyed the linen with things like horse urine, bark and crushed leaves to get the rich yellow colour. Historians of the time say the use of the real spice combined with the yards of material used was a symbol of status and the mark of a chieftain." The author believes that the leine croich was worn for its practicality and could be used as bedding and well as an elementary form of armour. He said: "It was fairly thick and had so many yards of material that it was probably enough to stop a sword blow. When we hear from English writers of that time that Scots went into battle unprotected or semi-naked they didn't understand that what they wore was a form of armour. "On top of the leine croich an average clansman would wear a deerskin or cowhide jerkin, which would be waxed or dipped in pitch to make it waterproof. However, a Scots nobleman of that era would have worn a long mail shirt or iron-riveted rings and a helmet." Angus, Chief of Clan Chattan, recorded in 1572 that the "yellow war shirt" was still venerated by his people as "the badge of the Chieftaines". However, the Gaelic historian Martin Martin, a native of Skye, wrote that saffron garments had fallen out of use at the end of the 16th century. Cannan claims the dyed garments were equally popular with Gaelic-speaking Irish warriors over the same periods in history. Dr Clare Downham of Aberdeen University believes that Cannan's analysis fits with her knowledge of Celtic Scotland. She said: "The tartan kilt as we know it today is part of a romantic and more modern imagining of Scotland's past. But it is clear from records dating back to the 11th century that the Gaels were well known for going bare-legged and wearing a sort of form of plaid. The Norwegian king went to the Hebrides in 1098 and adopted the dress of the locals and became known as Magnus Barelegs when he returned home. This distinctive form of dress ethnically distinguished the Gaels at that time." Jewish bones belonging to 105 bodies that were removed from a medieval Jewish cemetery in Toledo, Spain were reinterred last week in their original graves. Because of the way they were buried, the bones, discovered six months ago during construction of a non-Jewish secondary school, are believed to be the remnants of Jews who lived between the 13th and 14th centuries in Toledo, once a major Jewish center. A spokesman for the Conference of European Rabbis said the reburial took place during a ceremony last Sunday in Toledo attended by local Jewish leaders and regional authorities. The bones were reinterred in their original graves. Local authorities in Toledo originally offered to reinter the bones at another site. But for religious reasons, the local Jewish federation, strongly supported by the Conference of European Rabbis (CER) and the Committee for the Preservation of Jewish Cemeteries in Europe (CPJCE), demanded that the bones be returned to their original resting place. Earlier this year the Spanish government halted construction on the site following protests, including demonstrations by Orthodox Jews outside Spanish embassies in other countries. The site was being developed for the expansion of a school that already occupies part of the cemetery land. CER International Relations Director Philip Carmel praised the cooperation of the Spanish government as well as the uncompromising stance of the local Jewish federation which had enabled the reburial to take place. He said that pressure from the Jewish federation in Madrid eventually persuaded the Spanish authorities, after six months, that the bones had to be reinterred at the same spot. "Toledo has a unique place in the history of the Golden Age of the Jews of Spain and the Spanish government understood this and constantly sought to persuade the local government to respect the sanctity of this site," Carmel said. "Throughout our negotiations with the Toledo authorities, we insisted that these Toledo Jews be buried in exactly the same graves from which they were removed. They intended this site as their eternal resting place and it was our duty to ensure they were reburied according to their wishes." Major rabbis such as Asher Ben-Yehiel (1250 or 1259 - 1328) known by his acronym the "Rosh," and Yonah Ben-Abraham Gerundi (died 1263), know as Rabbeinu Yonah, were both buried somewhere in Toledo. Construction on the school will continue, but building will only take place around the cemetery and the area will be marked as a medieval Jewish cemetery. 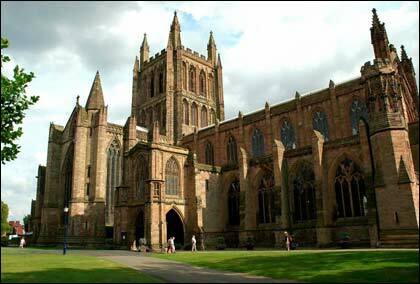 One of the world’s most important documents has gone on show at Hereford Cathedral. Visitors can see an early copy of the Magna Carta in an exhibition which will run until August 31, which means it will be an added attraction for visitors to the city for the Three Choirs Festival. Hereford’s Magna Carta is recognised as one of the best examples of the text, first agreed in 1215 and subject to several revisions. The copy, also called the Great Charter of Liberties, was issued by Henry III in 1217 and remains in superb condition. Historians have taken a year to move the charter from the Chained Library to form the centrepiece of the display. The project was funded by the Association for the Promotion of Herefordshire and required the skill of international craftspeople. Work included gold tooling, mounting and the construction of a display case. Hereford Cathedral Archivist Rosalind Caird says their copy is one of the most significant early versions of this historic document: "Although most people will always link Magna Carta and King John with the date 1215, the charter agreed at Runnymede was only the beginning of the story. Magna Carta went through a number of revisions and reissues before being enshrined in English statute law in 1297. The most significant revision of Magna Carta was issued by Henry III in 1217, and Hereford Cathedral is fortunate to possess the finest surviving 1217 version." The Hereford Magna Carta display opened on June 1 and is on show until August 31. A team of international scientists has suggested that over-development of water infrastructure and extreme climate fluctuations were responsible for the collapse of the ancient Cambodian city of Angkor. According to a report in The Australian, the team comprised of Sydney University archeologist Roland Fletcher and his GAP (Greater Angkor Project) co-director, Sydney University paleo-climatologist Dan Penny, and paleoclimatologist Brendan Buckley of New York's Columbia University. The scientists used new archeological, pollen and tree-ring dating evidence to back their claims. The group argues that before an alternating series of droughts and monsoonal floods hit Angkor from the mid-14th to late 15th centuries, the capital of the Khmer empire had already had extensive problems with its vast, complicated water system. Ultimately, it became impossible for the city to keep pace with further pressures from extreme weather. "Although there was ongoing conflict with neighbouring states, it was this over-built, inflexible (water) infrastructure that locked them into this trajectory of decline," Dr Penny said. Before Angkor vanished into the jungle in the 17th century, it was the world's largest low-density pre-industrial city. Between the ninth and 13th centuries, the metropolis spread across 1000sq km and was home to as many as 750,000 people. To feed the population, land was extensively cleared for rice farming and hundreds of kilometres of canals and enormous reservoirs were built to provide water for farming and drinking. The water works also supported religious ceremonies at hundreds of temple complexes. The most spectacular was Angkor Wat, the world's largest premodern religious monument. "It was the size of a medieval European town," Professor Fletcher said. As the city grew, so did the highly integrated system of canals, spillways and reservoirs needed to support it. Sand had begun filling major canals from the 14th century. Spillways and other features of the waterworks were badly damaged and shut down. By the late 16th century, Angkor was largely abandoned, taking with it the entire region. According to Professor Fletcher, Angkor is not the only city that fell victim to unsustainable low-density urban sprawl followed by climate instability. "The famous example is the classic Maya cities of the Yucatan Pensinsula like Tikal in Guatemala. They died between the ninth and the 11th century," he said. Evocative carvings at what was believed to be the inauguration site of the ancient kings of Dal Riata have been revealed for the first time in 30 years. Experts from Historic Scotland removed the concrete replica which covers the carved rock at the Dunadd hillfort, in Kilmartin Glen, during a week-long conservation project at the start of June. After three decades they were keen to see whether covering the rock had been effective in protecting it from weathering and vandalism. The original bedrock, on a terrace at the summit of the hill, contains an unusual group of carvings of a basin, two footprints, an incised boar, and has an Ogham inscription and what may be a rock cut throne. Dunadd was of great importance as the principal royal seat of the Dal Riata, which comprised a series of large tribal groupings whose principal heartland was Argyll from AD 400-800. It is an early medieval hillfort overlooking the River Add. It occupies a series of natural terraces, defined by collapsed stone ramparts. The site is one of the few places recorded in the early historic annals. The Annals of Ulster record at siege at Dun At in AD 683 and its seizure in 736 by the King of the Picts. It is also thought to be the ‘chief place of the region’ where St Columba met a Gaulish merchant. The Czech and Slovak delegations to the UNESCO annual meeting have agreed to withdraw the proposal for a joint entry of their sights into the list of UNESCO world cultural heritage, Czech Culture Ministry spokesman Jan Cieslar told CTK today. The nominations of new sights will be debated during a one-week meeting in Sevilla, starting today. The Czech Republic and Slovakia intended to jointly nominate the Slavonic fortified settlement in Mikulcice, south Moravia, and the church of Saint Marguerite of Antiochia in Kopcany, west Slovakia, situated on the Czech-Slovak border as heritage of the Great Moravia early medieval empire. The delegations of both countries agreed in early June to withdraw the proposal. "If we failed, it could never be submitted again," Cieslar told CTK today. On the basis of an expert opinion by the International Council on Monuments and Sites (ICOMOS), the Czech and Slovak delegates agreed that they would continue to work on the joint nomination to support it with new arguments, Cieslar added. Progress has been made in the exploration of the locality since 2007, and consequently the documentation for the sites' nomination would be more persuasive in the following years. The Czech and Slovak culture ministries submitted the proposal for the UNESCO listing of the joint heritage in 2007. A UNESCO expert visited the locality last autumn. He said he considered the proposal fully substantiated. A total of 12 sights in the Czech Republic have entered the prestigious list of UNESCO world cultural heritage. The Czech Republic has quite a high number of UNESCO-listed sights proportionally to its area and population so the country must choose a certain strategy towards UNESCO. The historical complex on the Czech-Slovak border was to be included in the UNESCO list as the Mikulcice-Kopcany Moravian-Slovak archaeological park. The Mikulcice site comprises the Valy large Slavonic fortified settlement, which was one of major centres of Great Moravia, a state embracing current Moravia, a part of Slovakia and a part of Bohemia in the 9th to 10th centuries. The church of Saint Marguerite of Antiochia in Kopcany is one of the oldest Christian churches on Central Europe. Archaeologists from the University of Haifa have discovered the largest underground quarry in the Holy Land, dating back to the time of Jesus and containing Christian symbols etched into the walls. The 4,000-square-meter cavern, buried 10 meters beneath the desert near the ancient Palestinian city of Jericho, was dug about 2,000 years ago and was in use for about four to fiove hundred years, archaeologist Adam Zertal said. The cave's main hall, about three meters tall, is supported by some 20 stone pillars and has a variety of symbols etched into the walls, including engraved 31 crosses, a zodiac-like symbol, roman numerals and a Roman legion's pennant. The crosses are believed to have been made around the year 350 AD. Zertal said his team from Haifa University first discovered the site three months ago while they were putting together a detailed archaeological map of the area. "We saw a hole in the ground ... and went down and discovered this giant cavern, originally a quarry, built uniquely with hall after hall." The site may eventually be turned into one of the largest underground tourist sites in the Holy Land. Trumpets blare, women weep and a giddy crowd roars as burly men carrying towering wooden pillars charge through narrow streets in a medieval tradition of pride and devotion to their patron saint. For more than 800 years, the ancient central Italian town of Gubbio has erupted in a riot of yellow, blue and black each May for the "Festa dei Ceri" (Festival of the Candles) to honor patron saint Ubaldo Baldassini, a 12th century bishop. In a day filled with feverish festivities that include hurling jugs of water onto a crowd, the highlight is a strenuous race where three teams tear through the town and up a mountain with 400-kg wooden pillars balanced on their shoulders. The festival taps into a deep-rooted sense of local pride and tradition -- the sort of fierce identity tied to their town or region that Italians are famous for. Gubbio's residents -- known as "Eugubini" -- scoff that even residents of nearby Perugia would not understand what makes their event so special. "There's a lot of kinship between us Eugubini and this is something that really unites us all," said 36-year-old Massimo Fiorini. "Perhaps I haven't seen this guy here for a whole year, but for one day, he and I are brothers." The emotion is even stronger for the hundreds of former or current bearers of the wooden pillars known as "ceri" (candles), who struggle for words to describe their exhilaration. "The only emotion stronger than this that I have ever felt was when my daughter was born," says Matteo Baldinelli, 40, a so-called "ceraiolo" or candle-bearer dressed in a yellow shirt with a red bandana in honor of his team, St. Ubaldo. "It's difficult to explain, this is something that we have been brought up with since we were little, we've lived it all our lives." As usual, the festivities began early Friday as drummers wandered through the town at 5 a.m. to wake everyone up, before residents trooped en masse to the local cemetery to pay homage to deceased candle-bearers. Mass follows, and then the three wooden pillars, each topped with a figure of their respective saint -- St. Ubaldo, St. George or St. Anthony -- are raised upright to a loud roar from a sea of Eugubini packed into a central square. "When you see the candle arrive, it's incredible, an emotion like no other," said 43-year old Lorenzo Rughi. As per tradition, three men standing halfway up the pillars threw a jug of water onto the crowd, sparking a feverish scramble for broken pieces that are said to bring good fortune. The pillars are then whisked away by a team of ceraioli -- eight men to carry it on their shoulders, another eight who provide support, and four for navigation -- through the streets. Trouble quickly befell the St. Anthony team, whose cero toppled over into the crowd as the ceraioli turned down a slope, wounding three bystanders. Tragedy was narrowly averted when a baby was pulled from her stroller seconds before it fell. Medical staff rushed in, but order was soon restored and the ceri galloped along again, stopping by house windows to pay homage to the old, infirm or deceased, bringing some to tears. "This is so emotional for me," Daniela Angeloni, 41, wept as she held on to a passing cero in memory of her father, a ceraiolo who died this year. "I'm doing this in his honor." Almost every family in Gubbio has a longtime allegiance to one of the three teams -- proudly declared on flags hung out of their windows -- and plastic tables on their doorsteps offered passers-by homemade wine, local ham, salami and cheese. Communal lunches follow, from an invitation-only affair at a 14th century building where residents dance and wave kerchiefs to more humble cafeteria-style lunches for ceraioli where seafood risotto and bottles of wine are passed around. By afternoon, residents are stumbling through the street in a wine-fueled stupor as they await the evening race, which is preceded by the sound of a trumpet and sword-bearing horsemen. The climax finally arrives as the ceri thunder through the streets, with St. Ubaldo's yellow-shirted team first, followed by St. George in blue and then St. Anthony in black. There is no winner -- the race ends in the same order it starts -- though that's hard to tell from the taunts of "You'll arrive at Christmas at this rate" and emotional embraces and tears at the end, which is followed by more consumption of wine. "What I felt inside me when I carried the cero is something that no one else can understand -- we're born with it," said Peppe Minelli, a longtime ceraiolo. "The others could tumble and fall, I couldn't have cared less. I only cared about me and my cero." Architectural remnants of a Byzantium church were demolished by a bulldozer in the village of Reka, Abkhazia, according to Vadim Bzhania, a local official. “Group of businessmen with the help of a local resident committed this act of vandalism,” he further explained, adding, "in the village everyone knows who actually conducted the process of clearing the land of archaeological sites. The damage cannot be repaid with money, these are priceless objects of historical and cultural heritage." 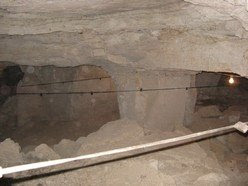 The local administration’s archeologists carried out an expedition to the village of Reka in January 2009. Experts made photo survey of the territory where unexplored remnants of the medieval fortresses and churches were located. The village appeared to be a unique archeological complex where up to ten cultural sites were registered including two fortresses, up to six ruins of medieval churches, a colony of the Bronze Age and a sepulchral construction. All objects need detailed research. Abkhazia is a breakaway region in the northwest section of Georgia. After a military conflict last year between Georgia and Russia, Russian troops occupied Abkhazia and recognized its independence. From the Bulgarian News Agency: Two fragments from the upper left corner of a gilded encasing and a massive bronze clasp from a medieval manuscript have been excavated at the Sts Peter and Paul Church in Veliko Turnovo, according to Prof. Nikolai Ovacharov, who is head of the expedition. Early analysis shows that the finds date from the 14th or the first half of the 15th century. The gilded silver encasing bears an image of Archangel Michael and inscriptions in Greek. The encasing had been fine-crafted by hand. The bronze clasp, which was found next to the encasing, may have come from an 80 cm by 100 cm manuscript. According to Ovcharov, the unique finds support accounts from the age of the Revival that a hidden compartment with medieval manuscripts had been found at the metropolitan Sts Peter and Paul Church during repair works. Ovcharov cited works by Revival luminaries G.S. Rakovski, P. R. Slaveikov, Yuriy Venelin and Marin Drinov, which state that the manuscripts in question may have belonged to the library of Patriarch Evtimiy or may have been from the time of Tsar Ivan Shishman (second half of the 14th century). Peter Farashev of Elena, who used to be a servant at the metropolitan church, wrote in his memoirs that in 1825 on the order of Metropolitan Ilarion of Crete some of the manuscripts were burned in the kitchen furnace to make rose brandy, and others were buried in the church yard. The burning of manuscripts was not uncommon at the time, Ovcharov said. The Four Gospels of Ivan Alexander were rescued from a fire at Mount Athos by Lord Curzon, where monks would burn manuscripts to keep warm. This article looks at teachers' contracts and apprenticeship contracts from the Provençal town of Manosque. It argues that, in late medieval Manosque, education was institutionalised and gendered. Manosquin society implemented formal systems in order to inculcate a particular type of masculine identity. This identity, a function of the growing burgher class of townsmen, was driven by rapid urban expansion, economics, and secularisation. This article demonstrates how gender acquisition took place. It also explores in detail the form and content of secular schooling for young boys and apprenticeship for adolescents. This article examines the evidence for the intellectual and practical relationship between Marguerite Porete and the secular master of theology Godfrey of Fontaines. It analyses the nature, timing, and importance of Godfrey's response to The Mirror of Simple Souls, and argues that considering the interaction between these two figures has important consequences for our understanding of both of their careers. The Hospital of St John is thought to have been in various respects in a rather more healthy condition than the order of the Temple in the late thirteenth century, and comparisons and contrasts between the two orders have recently been made, often to the detriment of the Templars. This view is examined with reference to recruiting, the role of sergeants, ignorance among brothers, provincial administration, central government, and roles after the collapse of the crusader states. The argument is advanced that the Temple was not in a noticeably worse state than the Hospital and that on many issues the similarities between the two orders are more marked than the differences. Climatic deterioration in the later middle ages was associated with an increasing frequency of marine storm surges affecting the coasts of the southern North Sea. This paper investigates the impact of storm surges upon the lands bordering the Thames estuary and tidal river between the mid-thirteenth and mid-fifteenth centuries. Land use in the coastal and riverine marshes is reviewed, and the means and costs of defence against marine flooding explored. The impact of flooding upon human use of the marshlands, upon the suburbs of medieval London and upon the Thames fisheries are all investigated. Stress is placed upon the complex interaction of economic and environmental factors in determining the response to the threat of marine flooding. Few studies to date have examined the relational aspects of life within a non-nuclear medieval household. This article aims to show that the affective bonds that were prescribed for members of the nuclear family in the late middle ages were also prescribed for members of the larger household, though to a lesser degree. ‘Familiars’ were expected to develop bonds of loyalty that cut across distinctions of social estate. A series of petitions to the papal penitentiary from German-speaking areas during the fifteenth century shows that both elite and non-elite individuals exhibited such affective bonds of support in violent situations as well as in a wide variety of other circumstances. This indicates that the household formed a major building block of medieval society in relational as well as in logistical terms. The thirteenth century in France saw the initiation of a series of reforms intended to define, identify and root out corruption in government. The principal architect of the campaign was King Louis IX (1226–70), ably supported by a coterie of special officials. Inspired in part by his desire to purify his kingdom in the long preparation for the crusade of 1270, he also drew on longstanding precedents in French administrative history. The campaign on the whole was quite successful. What is also remarkable is that, generated partly from the unique circumstances of individual polities and partly from circumstances, like crusading fervour, which were widely shared, other anti-corruption campaigns were mounted, also with some success. The slogans and practices of anti-corruption campaigns came to be identified intimately with good government, indeed, with the very right to exercise political authority and power. The thirteenth century thus appears to be a foundational moment in the constitution of the ideology and practices of the state. This month, 100 scholars from around the globe convened for an interdisciplinary conference on medieval studies at Magdalene College, University of Cambridge. The conference was organized by Daniel J. DiCenso ’98, a visiting professor in music at Holy Cross, and James Wade, a professor at Penn State University. DiCenso is completing his Ph.D. in musicology at the university. With sessions on music, literature, history and religion, “Knowledge and Learning in the Middle Ages: A Conference Celebrating the 800th Anniversary of the University of Cambridge,” was one of a number of events taking place throughout the year in celebration of the university’s founding. Thanks to a $10,000 grant from the 2009 Fund which is supporting the university’s anniversary celebrations, DiCenso says he was able to attract the finest scholars in the field of medieval studies. A highlight of the conference, says DiCenso, was the keynote address delivered by Margot Fassler, Robert Tangeman professor of music history at Yale University. “Professor Fassler’s paper about the use of medieval chant in present-day Coptic and Roman Catholic religious communities drove home the point that while the Middle Ages were very long ago, so many medieval practices continue to influence our lives today — from the way that we worship in communities to the ways that we express ourselves and our histories through song,” he says. DiCenso is the first student from Holy Cross to have won a highly-competitive Gates Cambridge Scholarship, a full-cost award given to students from outside the United Kingdom to pursue graduate study and research at the university. In the fall, he will be teaching both medieval music courses and popular music courses at Holy Cross, and apply for post-doctoral research positions and tenure-track jobs. A University of Texas at Dallas professor studying ties between two important groups in Medieval Islamic history will pursue her research in Turkey under a fellowship from Koc University's Research Center for Anatolian Civilizations (RCAC). Dr. Cihan Yuksel Muslu, assistant professor of arts and humanities, was awarded the full-time, nine-month fellowship to study Ottoman-Mamluk relations this fall. "I am very excited, and have already begun planning my work," said Muslu. "It is such an honor to be awarded this fellowship, which is popular and prestigious in my field." Muslu will devote full-time attention to writing and research of her topic, "Behind the Scenes of Warfare: Ottoman-Mamluk Relations," which was the subject of her doctoral dissertation. The Mamluks were slave soldiers who converted to Islam and served the Muslim caliphs and the Ayyubid sultans from the 9th to the 16th centuries. Muslu will present her work-in-progress in the form of an in-house talk during fall 2009, and participate in one of the public mini-symposia in the spring 2010 semester. The fellowship consists of travel and relocation reimbursements, a research budget and partial living expenses for Muslu and her family, as well as a monthly stipend. Travel expenses for the presentation of papers at academic conferences during the period of Muslu's appointment are also covered. "We'll miss Cihan's exemplary devotion to teaching, but we are fully confident that she will return to UT Dallas with a new wealth of knowledge to share with her students," said Dennis Kratz, dean of the School of Arts and Humanities. Muslu wholeheartedly agrees that the experience will enhance her teaching. "I am a strong believer that teaching and research are closely connected," said Muslu. "As I grow intellectually, thanks in part to this fellowship, I will become a better historian and hence a better teacher. "The vibrant intellectual environment in the RCAC will contribute to this process. I will be surrounded by experts who are specializing in diverse aspects and periods of Anatolian/Middle Eastern studies, from history to archeology and art history. This interactive and interdisciplinary atmosphere will definitely enhance my understanding of and my teaching on the region." Muslu's fellowship begins in mid-September. RCAC is located in the center of Beyoglu, a neighborhood of Istanbul, Turkey. Founded in 1993, Koc University is a private university in Turkey with a strong emphasis on research. Visitors to a medieval festival Saturday at Upper Canada Village were greeted by dozens of placard-waving protesters who say the festival brings the historical site one step closer to being a theme park and that management cannot be trusted to preserve the heritage of Eastern Ontario and the United Empire Loyalists who settled the area. "Are these kids going to leave here today thinking that part of Upper Canada Village is knights in shining armour, which took place five or six hundred years ago, and 4,000 miles from here?" asked protester Tim Gault of Long Sault, a member of the Lost Villages Historical Society. For months, historical societies, history buffs and employees who were laid off have been protesting what they call the commercialization of the village, on the St. Lawrence Seaway just east of Morrisburg. Managers of the attraction say the park is losing money and must change to get more people through the gates, but critics say there are ways to do that without compromising the attraction's intent. "The medieval festival is, first of all, very tawdry," said Ian Bowering, curator of the Cornwall Community Museum. "They could have done something that was reflective of our history. "Perth had the last duel in the 1830s. If we want jousting and duelling, we could have done that. It just shows their lack of creativity and, if they had talked to the community, it would have happened." The park's change in direction is not the only thing worrying the protesters. Many are members of the Lost Villages Historical Society, which is dedicated to preserving the legacy of the villages flooded when the St. Lawrence Seaway was built in the 1950s. Upper Canada Village was largely created using buildings and artifacts from the area that was submerged, but some concerned citizens question whether the artifacts are still safe. Layoffs this spring and management changes have left many buildings without interpreters to ensure the artifacts don't go missing, protesters say. When the buildings are closed to the public because interpreters are not available, doors that can be easily removed are the only thing protecting them. Bowering, who is leading a group of museums and historical societies to fight the changes, is advising people to ask for their artifacts back because the village can't be trusted to ensure they aren't stolen. "We believe they have lost things that are from the origins of Ontario. They have had things donated to them, and we know things are missing," Bowering said. He added that the park has "no business being in the museum business" if it can't keep artifacts secure. "I'm urging people to at least ask them to find their family heirlooms, at a minimum, and to ask for it back." Dale Brownell said she reclaimed a medal from the War of 1812 more than a decade ago, but others are concerned about articles they have donated to the park, such as furniture, watches and dishes. At least one motorist stopped at the entrance Saturday and apologized for going in, saying she supported the protesters' cause, but had several children who needed something to do. Pat Macdonald, general manager of Upper Canada Village and chief executive of the St. Lawrence Parks Commission, which is responsible for the park, told the Citizen last month she is working hard just to ensure the park's survival. Macdonald said the provincial government has made it clear that Upper Canada Village must become more self-sustaining, and that changes must be made to overcome what Macdonald called a "massive decline in visitor interest." Macdonald said the number of visits to the park has been dropping for many years, while costs to maintain its buildings have been rising. Visitor levels are less than half of what they were in the 1970s. This year, she said, visitors will find in-depth talks, demonstrations and hands-on activities and not just "the casual interpretation" that the park has historically offered. Visitors will have the opportunity to wear period costumes or sleep overnight on straw mattresses. "This is what people today want. They want to roll up their sleeves and feel like they have created their own experience. We are trying to go mainstream with some of the things we know guests like," Macdonald said. Whitby historian Christiane Kroebel has gained a top award for the quality of her research and publication. Christiane, who lives in Sandsend and is a volunteer helper at Whitby Museum, was presented with her award at the annual Local History Day held by the British Association for Local History in London. Each year the association selects five winning articles from all those published in the journals sent to the reviews editor of its journal, The Local Historian. Christiane’s article entitled A Hypothesis on the Origins of St Oswald’s Church and Lythe Parish, 650-1100, published in the Transactions of the Scarborough Archaeological and Historical Society, was highly praised by Dr Alan Crosby, editor of The Local Historian, not least because of her use of difficult primary sources. Keith Johnston, editor of the Transactions, who also attended the Local History Day, said: “It’s a great honour for Christiane and for the Scarborough Archaeological and Historical Society. Christiane said: “I’m a librarian and historian, having studied history and library science in the United States in Washington DC, where I lived and worked for 15 years. After two years in Zimbabwe at a United Nations project at the Geological Survey, I came to London, where I had a temporary job with the Royal Society of Chemistry. London was too big and I took a job as librarian for a chemical company on Teesside. I left the company 11 years ago to study at Durham University for a MA in Anglo-Saxon history, which I obtained in 2003 having had a baby in 1999. Living in Sandsend, it was obvious to start volunteering at the Lit and Phil and I became honorary librarian and archivist in 2000”. Call it a new season of "reality history." UND prof and historian William "Bill" Caraher and a team of students are in Cyprus to help kick off the 2009 season of the international Pyla Koutsopetria Archaeological Project (PKAP). The goal of the project: find out how folks lived, worked, and interacted in the glory days of the Roman Empire and maybe learn a thing or two in general about how societies live, play, and do business. The project also helps students learn how to do applied research in a traditional liberal arts field such as history and how to apply high tech methods in their work. The PKAP project began its 2009 fieldwork recently outside of Larnaka, Cyprus. The project-a collaboration between the Caraher, who teaches in the UND Department of History, and scholars from Indiana University of Pennsylvania and Messiah College (Pa)-involves undergraduates and graduate students from these institutions and numerous others in the U.S. and Europe. "It's really exciting to be involved in this hands-on project with students," said Caraher, who's the research teams's de facto "techie," handling a lot of the global positioning system (GPS) and geographic information systems (GIS) applications used as a critical part of the team's fieldwork . "We use these systems intensively to ensure that we leave no area uncharted and to document the location of artifacts." This season, the PKAP team will excavate sites on the south coast of Cyprus dating as far back as 1200 BC all the way to 650AD. The researchers and students hope to gather more evidence about the economic, political, and cultural relationships among Mediterranean communities that formed that backbone of the great Roman Empire. PKAP takes full advantage of new and emerging media tools, Caraher said. In collaboration with UND's Working Group in Digital and New Media, PKAP will produce a digital documentary. PKAP also is hosting photographer Ryan Stander, a UND Masters in Fine Arts student, as the team's annual artist-in-residence. The team also will also document its fieldwork with a series of frequently updated Weblogs. "As one of the first Mediterranean archaeological projects to blog from the field, it has drawn thousands of readers from around the world have read this unique perspective on the inner workings of Mediterranean archaeology," Caraher said. Recent archaeological and historical discoveries have challenged the widely held view that the Huns were savage barbarians, and has put forward them as heroes. The Huns were a group of nomadic pastoral people who, appearing from beyond the Volga, migrated into Europe in AD 370 and built up an enormous empire in Europe. They are widely thought of as vicious brutes who appeared briefly in history, wreaked death and destruction, then disappeared again. According to a report in Digital Journal, recent archaeological and historical discoveries are raising questions about this view. Of the European countries, Hungary has the most legends about the Huns and in these legends; they are the heroes, not the villains. Hungarian academic and researcher, Dr. Borbala Obrusanszky, has followed their trail all the way to China and Mongolia, where she did postgraduate work. Responding to a question about the Hun's reported barbarism and savagery, Obrusanszky said, "Only the Western Roman chroniclers thought that. The other sources, for example the Chinese, always painted a realistic picture of the Huns." "They were not wild or barbarians, but only had different customs, which the town-dwellers did not know. But, those who spent a long time among the Huns soon sang their praises, because they considered them a very hospitable people," she added. What is more, certain researchers consider it possible that they stayed in contact with each other, or knew about each other. Obrusanszky said that the most surprising thing about these so-called "barbarians" was that they built cities. "The Huns also had settlements where they only stayed temporarily, but they had permanent trade centres and manufacturing towns, since they needed places where they could construct items both for weapons and military use as well as for their everyday lives," she added. Obrusanszky turned next to the subject of Attila, King of the Huns. Attila is the greatest figure in European history, many still tremble at his name. He created a great federal state from the foothills of the Caucasus to the Rhine. He was victorious in practically all his campaigns. He went wherever he wanted to, because his military knowledge and his army stood above that of the Romans. Despite this, at the Pope's request, he spared Rome. By contrast, the Vandals sacked it. Obrusanszky explained that these recent discoveries and ongoing studies in China, Mongolia and Hungary, as well as other countries, are likely to change perceptions of the Huns and their historical achievements. Greek researcher, Dr Evangelos Kyriakidis, Lecturer in Classical and Archaeological Studies at the University of Kent in the UK has received 300,000 euros of a potential 4.2 million euros from the Los Angeles-based Cotsen Corporation to establish a Mediterranean conservation, research and education centre in Greece. Through the centre, Kyriakidis aims to set up a visiting scholars’ programme, workshops and lectures on archaeological site management and planning in the Mediterranean region, as well as developing collaborations with relevant institutions in this field worldwide. He also intends that the initiative should become a benchmark institution, conducting and disseminating research on the general conservation, management and preservation of archaeological sites. The 300,000-euro award is the first part of a 600,000-euro commitment for the pilot phase of the project. If successful in achieving both the programmatic goals and financial matching requirements of the project, the Centre is eligible to receive a total of 4.2 million euros over the next eight years. International accountants PricewaterhouseCoopers are supporting the project by auditing the end-of-year accounts pro bono. Philanthropist Lloyd Cotsen for many years has promoted and supported education and culture, as well as research in disciplines such as archaeology. He is the President and CEO of Cotsen Institute and Cotsen Corporation, while he has also served as Neutrogena Corp. president. Among others, he is a partner of the American School of Classical Studies at Athens. In 2002, the Institute of Archaeology of UCLA was named after him in recognition of his contribution. Archaeologists working at the site of a Tesco store in Newtown in Wales, have unearthed one of the longest sections of Roman road ever found in Wales, dating back to 2,000 years. According to a report by BBC News, the highway was carved out of the Powys countryside in Newtown 2,000 years ago, and is thought to have linked two forts. Archaeologists are excavating three separate sections of the road, and they expect to uncover a total of 300 metres. The work will not delay the development of the supermarket. Archaeologists from the Clwyd-Powys Archaeological Trust are working on the site of the town's old Smithfield market, which is being redeveloped as a Tesco store. Evidence a Roman highway existed was found in December 2006, but archaeologists have only been able to properly excavate it over the last 10 days. Site director Ian Grant said that the road would have been used for troop movements between a legionary fort at Forden, near Welshpool and Caersws, a few miles from Newtown. "This sort of find is extremely rare, especially in Wales," Grant said. "We have excavated between 70 and 80m so far and the road is six metres wide. We haven't found any Roman artefacts, but the next step is to looks for settlements," he added. Archaeologists expect to be on site for a minimum of eight weeks. Medieval England's view of its relationship with the East and the comparison with the 21st-century relationship between the West and Islam is a key strand of a new joint-research project between the University of Reading and the University of Bristol. The first major research into medieval texts known as the English Charlemagne Romances aims to investigate parallels between late-medieval England and modern-day Britain, with particular reference to ideas of national identity then and now and views of cultural/religious differences seven centuries apart. Phillipa Hardman, Department of English at the University of Reading, said: "We are interested in exploring the medieval parallels with contemporary Britain, the West and Islam. The depiction of Muslims in the Charlemagne Romances links into modern-day attitudes of nationhood and the west's view of the east. The texts relate to the way people define themselves and their own personal identity in relation to others, as well as their allegiances, through the languages they spoke, their religion or the country of their forebears. These same debates and views about oneself and 'others' in the east exist nowadays." Fourteenth-century England was fascinated by legendary stories of the eighth-century conflict between Charlemagne's Christians and Saracens, with special focus on the figure of the Muslim 'chivalrous Saracen', as depicted in the contemporary Charlemagne Romances. Dr Marianne Ailes, Department of French at the University of Bristol, explains: "England's view of the east in Medieval times, just as today, is complex. Through their portrayal of the 'Chivalrous Saracen' character, depicted as human and noble, the texts express a desire for engagement with the east. The Saracen enemy is only seen as lacking in being non-Christian. Both the Chivalrous Saracen and the later 'Monstrous Muslim' stereotype feature in the Charlemagne Romances." The Charlemagne Romances are Middle English and Anglo-Norman texts based around the deeds of the 8th-century Emperor Charlemagne, celebrated as a French hero. The texts, originally written in French, were disseminated and adapted in England in the 14th and 15th century during the Hundred Years War with France. The central conflict represented in the texts is that of eighth-century battles between Christians and Saracens and they reflect parallels with international crusading interests of the earlier Anglo-Norman period (late 11th and 12th century) and the 14th and 15th century perceived threat of the Ottoman Turks. A 1455 copy of the Gutenberg Bible and the first printed edition of Homer's worka, published in 1488, are among ancient books being published online by Cambridge University Library. The collection of pre-1501 printed books, known as incunabula, is being made available online thanks to a £300,000 grant. Over the next five years the University library will produce detailed records for each item. The books will then be able to be viewed by anyone around the world. The selection includes a 1455 copy of the Gutenberg Bible, the first book printed in Europe using movable metal type, and the first printed edition of Homer's works, from 1488. Cambridge University Library’s celebrated collection of incunabula comprises some 4650 items. Its origins go back to the early history of the Library; the earliest printed books were given by Thomas Rotherham, Archbishop of York and Chancellor of England, who died in 1500. Subsequent donors include Cuthbert Tunstall, Bishop of London, who gave the University its first Greek texts, and Matthew Parker, Archbishop of Canterbury, whose gift of 1574 included a splendid copy of the Nuremberg Chronicle with hand-coloured woodcuts. The Library’s greatest benefactor was George I, who in 1715 gave the library of John Moore, Bishop of Ely, renowned throughout Europe for its medieval manuscripts and early printed books. The collection was greatly enhanced in the late nineteenth and early twentieth century by Henry Bradshaw, Librarian from 1867 to 1886 and an influential scholar in the field, and benefactors such as Arthur Young (1852–1936), whose gifts included the editio princeps of Dante and the Library’s copy of the Gutenberg Bible. Numerically, books printed in Germany and Italy predominate; in terms of quality, however, holdings from the presses of England and the Low Countries are outstanding. The collection contains around 134 unique items, including quartos printed by William Caxton during his first years as a printer in Westminster. Another book in the collection is a rare Book of Hours printed on vellum by William Caxton's successor, Wynkyn de Worde and is inscribed by Henry VIII's future wife, Catherine Parr and her family. Professor Miri Rubin, a medieval historian and author, of Queen Mary, University of London, said putting them online would open up new possibilities for scholars. "These earliest printed books were the product of medieval craftsmanship, but they also reflect new – often humanist – trends in learning and reading," she said. "Religion and politics, poetry and science are all to be found in these early books. Hence the project will have a major impact by offering new opportunities for scholars and others." Anne Jarvis, university librarian, said: "We are delighted to be able to create high quality, searchable records for these rarest of books and share them via the internet with readers around the world." The project will be undertaken over the next five years. A rare medieval altarpiece is to go on show in a cathedral in Suffolk. The 700-year-old screen will be placed behind the altar in the new Chapel of Transfiguration at St Edmundsbury Cathedral in Bury St Edmunds. The chapel and screen were consecrated by the Archbishop of Canterbury on Friday 5 June. 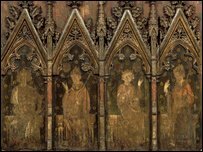 The 14th century screen depicts St Edmund, King Edward the Confessor, an unidentified bishop and an archbishop, possibly St Thomas Becket. The rare medieval church screen was discovered in a storeroom at Kingston Lacey, a National Trust property in Dorset, and is now on loan to the Cathedral. Canon Michael Hampel, sub-dean of the cathedral, said: "This will be an exciting moment when an ancient altarpiece - with our local saint on it - is 'brought home' to Suffolk. We are deeply indebted to the National Trust for making this possible. People knelt and prayed in front of this work of art during the Black Death, Henry VIII's reign, the Great Fire of London and the coronation of Queen Victoria. Now it's back in use, right here in Bury St Edmunds." With strokes of genius, artists in the Middle Ages explored the medium of drawing, creating a rich panoply of works ranging from spontaneous sketches to powerful evocations of spirituality and intriguing images of science and the natural world. Opening June 2 at The Metropolitan Museum of Art, Pen and Parchment: Drawing in the Middle Ages is the first museum exhibition to examine in depth the achievements of the medieval draftsman. Through some 50 examples created in settings as diverse as a ninth-century monastery and the 14th-century French court, the presentation considers the aesthetics, uses, and techniques of medieval drawings, mastered by artists working centuries before the dawn of the Renaissance. Works from the collection of the Metropolitan Museum are displayed along with important loans from American and European museums, and the great national, university, and monastic libraries of Europe. Many of these manuscripts are so highly prized that they have never before been lent outside of their home countries. Arranged both thematically and chronologically, the exhibition opens with a selection of early drawings from the ninth and early 10th centuries. These works demonstrate the keen intellect and creativity of the artists, whose mastery of the pen can be seen in the diversity of the illustrations' style and subject matter. The earliest manuscript in the exhibition—the Corbie Psalter (around 800; Bibliothèque d'Amiens Métropole, Amiens)—features wonderfully inventive initials decorated with drawings of men and animals and was executed by an anonymous master, who was perhaps the first great medieval draftsman. Artists at the Abbey of Saint Gall in Switzerland, an early center of medieval learning that to this day retains much of its library, illustrated a wide array of texts with vibrant sketches, including the Epistles of Saint Paul (late ninth century; Stiftsbibliothek, Saint Gall) and a compilation of texts devoted to warfare (ca. 850–925; University Library, Leiden). In the 10th and 11th centuries, artists in England embraced the medium of drawing as never before. The 150 psalms attributed to the biblical King David were favored texts that inspired artistic interpretations rich in poetic imagery. The best-known of these, the Harley Psalter (around 1010-30; The British Library, London)—a work that pulses with nervous, taut energy—is a masterpiece of Anglo-Saxon line drawing. 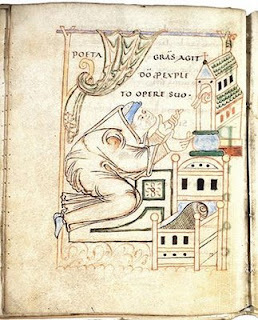 Another artist's literal interpretations of psalm texts in the Bury St. Edmunds Psalter (ca. 1025–50; Biblioteca Apostolica Vaticana) resulted in inventive drawings of great charm. Manuscripts from 11th- and 12th-century France are characterized by the creative use of drawings in combination with painting. A stunning example is the monumental Bible of Stephen Harding (1109–11; Bibliothèque municipale, Dijon), intended to be the most authoritative edition of the holy text in its day. Created in consultation with rabbis and Christian scholars at the Cistercian abbey of Cîteaux in Burgundy, where Harding was abbot, the manuscript features tinted drawings, the delicate lines of which cleverly play off painted elements on the page to dramatic effect. An impressive selection of secular works offers a surprising counterpoint to medieval religious texts. Medieval libraries preserved the heritage of the classical world, as witnessed in an exceptional manuscript of the Aratea, an ancient astronomical Greek poem translated into Latin by the Roman orator Cicero (about 1000; British Library, London). This manuscript, featuring drawn figurations of the constellations, is one of the finest of its kind. It was drawn by one of the great artists of the Anglo-Saxon period, whose name remains unknown, but whose distinctive hand yielded a small group of masterpieces. Royal Spanish legal documents sometimes included drawings. A charter issued by Alfonso VII, King of Castile and Leon (around 1150; The Hispanic Society of America), is illustrated with a lively drawing of the parties involved in the legal proceedings the text records. Long before the Renaissance, medieval artists turned to drawing to illustrate scientific texts. An anthology of the natural sciences from the English monastery of Thorney (around 1110; St. John's College, Oxford) includes dozens of instructive diagrams, maps, and charts. One of the earliest English world maps, the Sawley Imago mundi (around 1180–90; Corpus Christi College, Cambridge) appears as the frontispiece for a compendium designed for readers without access to large libraries. It brings together in a single image a wealth of accumulated geographical knowledge from the Bible, Greek legends, and ancient cosmographic texts. Of particular interest is a consanguinity diagram from an early encyclopedia produced near Regensburg, Germany (ca. 1150; Bayerische Staatsbibiothek, Munich). The illustration elucidates family relationships to the sixth degree, identifying individuals whom one may not marry, as well as those from whom one is entitled to inherit goods or property. Sketchbooks, model books, and unfinished manuscripts betray the working methods of medieval artists. An ornate A, B, C, or D from a Tuscan book of decorated initials (ca. 1175; The Fitzwilliam Museum, Cambridge) served as a model for artists embellishing the texts of other manuscripts. The underlying drawings of the Prato Haggadah (ca. 1300; The Jewish Theological Seminary) were intended to guide later painted decoration that would use a variety of pigments and gold. A rare early drawing of the façade of Strasbourg Cathedral (ca. 1260; Musée de l'Oeuvre Notre Dame, Strasbourg) bears witness to the increasing importance of architects and architectural plans in the age of the great cathedrals of Europe. Several medieval draftsmen known for the individuality of their work are also featured. Matthew Paris, the designated historian and a prolific artist at Saint Albans Abbey, was an astute observer of the world around him. He is represented by one volume of the Chronica Majora, or Great Chronicle (around 1240–53; Corpus Christi Library, Cambridge), his most ambitious work, which contains year-by-year entries of significant historical events accompanied by an extensive and unprecedented set of marginal pictures. Bound up with this book is a magnificent tinted drawing that Matthew probably kept originally in a portfolio of his own drawings. The eccentric drawings of the Italian Opicinus de Canistris, a cleric at the papal court in Avignon, depict the artist's mystical revelations and convey an obsessive fascination with the ways his biography fits into the order of the universe (1335–56; Biblioteca Apostolica Vaticana). Drawings of the passages of the stars and abstract cartographic designs replete with recognizable faces and figures form part of the almost hallucinatory visions of his fertile imagination. The exhibition concludes with two celebrated Gothic manuscripts that attest to the creative power of drawing as a medium in later periods. Painted figures float over a gossamer web of delicate penwork in an ornate initial in the Windmill Psalter produced in East Anglia (late 13th century; The Morgan Library & Museum). The quiet sophistication of the prayer book created for Jeanne d'Evreux, queen of France (about 1324–38; The Metropolitan Museum of Art), makes it a masterpiece of grisaille. The artist Jean Pucelle combines keen observation of daily life in the streets of Paris, humorous and fanciful caricatures, and tender religious imagery. The Museum also offers an array of educational programs in conjunction with this exhibition, including two Sunday at the Met lecture programs – on June 7 featuring Jonathan Alexander of the Institute of Fine Arts, New York University, and on July 19 featuring Edward Tufte, professor emeritus of political science, statistics, and computer science, Yale University, and the leading authority on information design. Also included are gallery talks, films, a half-day teacher workshop, and family programs. The exhibition is featured on the Museum's website at www.metmuseum.org. The website will include a discussion with curators about selected works of art in the exhibition at http://blog.metmuseum.org/penandparchment/ . Members of the American Jewish community are upset over excavations of a medieval cemetary that are taking place in the Spanish city of Toledo. The Jewish cemetary was discovered in the 1970s during the construction of a school, and now that the school is being expanded, the remaining portion of the cemetary is being excavated and the remains reburied. Although a spokesman for the Spanish Foreign Ministry said the regional government in Toledo had reached an agreement with local Jewish representatives over re-burying the remains, this has upset several American Jewish organizations, who believe that the act violates their religious traditions. The situation has led American Senators Charles E. Schumer and Kirsten Gillibrand to call upon the U.S. State Department to act to stop the move. Senator Schumer stated, "It is essential that this historic Jewish cemetery in Spain is not destroyed and that a solution forged that recognizes the religious tradition of these long-deceased Spanish citizens. Toledo was a center of Jewish life in medieval Spain and there is inherent value in remembering and honoring this rich part of Spanish history. The history that can be found in this one site is astonishing and to move the cemetery without forging a religiously acceptable alternative is very poor judgment. I urge the U.S. State Department to work with the Spanish government to prevent further action until a sensible solution is hammered out." The discovery of a sword stud beneath shops in Monmouth, Wales, could be evidence of an Anglo-Saxon period settlement, which might rewrite Welsh history. According to a report in Western Mail, at barely a centimetre across and almost unrecognisable after centuries underground, the stud could shed light on an almost unknown era of Welsh history. Hardly anything is known about the Anglo-Saxon period in Wales, which roughly bridges the six centuries between the demise of the Roman Empire and the Norman Conquest. The discovery of the site where the sword stud was found is "one of the most important early medieval sites in Wales," according to Stephen Clarke, chairman of the Monmouth Archaeological Society. "The structure may be centuries older than these (carbon) dates as they follow the removal of posts which must have been erected years before," said Clarke. "It survived until dismantled in the late 1000s or early 1100s when the Normans dug a huge defensive ditch across the site, from the Castle to the River Wye," he added. The buildings are ancient and date from before the Normans arrived. It could be evidence of occupation unbroken since the Dark Ages. The tiny sword stud is a silver pyramid 12mm high with a 12mm square base and a setting for a stone at its top, similar to two found in the burial of the King of East Anglia at Sutton Hoo. It was used on leather straps, which held a scabbarded sword to the sword-belt, and none have previously been found in Wales, where any Anglo-Saxon material at all is extremely rare. A preliminary report, based on pre-conservation assessments, by Dr Mark Redknap of the National Museum Wales suggests it is similar to those found elsewhere in the UK and dated to the sixth and seventh centuries. But Neil Maylan, of the Glamorgan Gwent Archaeological Trust , a specialist adviser to Monmouthshire council, was less certain about the find’s significance. “We know very little in reality about what was happening in Wales between the Romans and the Normans,” he said. “We have lots of legends and stories but very little in the way of absolute fact and archaeological record. Ireland's government has created an advisory committee to help protect the famous medieval site of Skellig Michael, which some fear will limit access to the island from tour operators. The new committee is to be chaired by Dr Michael Ryan of the Chester Beatty Library. Other members are Professor Ron Cox (structural engineering conservation); Professor Loughlin Kealy (architectural and conservation practice); Dr Colin Rynne (industrial archaeology) and Dr Stephen Newton (seabirds). A report published in late 2007 by Unesco, the UN body responsible for designation of World Heritage Sites, was critical of the management of the 6th century monastic outpost off the Kerry coast. It found that conservation works had “dramatically altered” the appearance of surviving ruins on the island’s South Peak. However, the archaeological site would still retain its “outstanding universal values” intact if the conservation work was documented in an academic publication, the Unesco mission report said. Unesco recommended that a site manager be appointed, and said that a “durable agreement” should be negotiated with Skellig Michael ferry operators. It recommended that an academic advisory committee be appointed, and was critical of the Irish government for failing to consult with archaeologists and other stakeholders before embarking on the South Peak conservation works. Michael Gibbons, the Connemara archaeologist who first highlighted concerns about State management with Unesco, has welcomed the establishment of the new expert advisory committee, but said that tourism/ferry interests should also have a representative. He added, "Hopefully the committee will finally resolve the conflicting claims as to the authenticity of the remaining surviving monuments and the extent to which the conserved buildings are replicas or not”. Kenneth Roddy, Skellig Michael ferry operator, said he found it “shocking” but “not surprising” that tourism and ferry interests had not been appointed to the new committee. Skellig Michael is the most spectacularly situated of all the early medieval island monastic sites and it comprises a well-preserved monastery and remote hermitage. The island’s isolation has helped to preserve and protect the monastic remains. 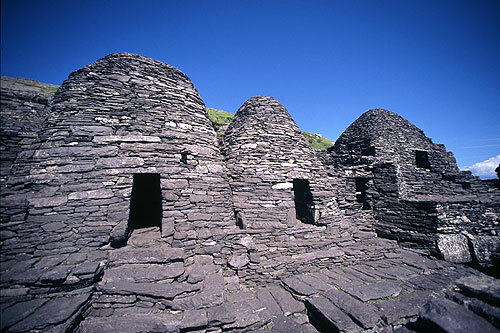 Their state of preservation and authenticity makes Skellig Michael of immense and immeasurable importance. It represents a unique cultural achievement illustrating a significant period of history and a civilisation which has disappeared. Skellig Michael is also internationally renowned as one of the most important sites for breeding seabirds in Ireland. The steep rocky slopes and cliffs provide nesting places for species such as Fulmar, Kittiwake and Guillemot, while Storm-petrel, Manx Shearwater and Puffin nest in burrows and other holes throughout the island. In 1996, the site was added to the list of world heritage sites by UNESCO. Video footage from Medieval Tournament, part of the Polish Cultural Festival, held in Edinburgh, Scotland in April 2009. The University of Aberdeen will be hosting a two-day conference on Cultural Icons of Medieval Scotland, which examines the cultural achievements of the medieval North and the objects which help us define the identity and early history of Scotland. The conference begins on Wednesday 22nd July, with a public lecture by Professor David Dumville on The Book of Deer: A monument of North-Eastern book production. The following day sees ten more speakers, including Heather Pulliam, on The Book of Deer and Pictish Art, Jane Geddes on The Pictish Stones of St Vigeans, and Gareth Williams on the Skaill silver hoard, Orkney. For more information, click here to go to the conference website. A medieval silver ring dating back more than 800 years has been unearthed on a farm in Northern Ireland. The 12th century artefact was found by 17-year-old Conor Sandford as he was putting up a fence post at the edge of one of his father's fields near the village of Kilmore, Co Armagh. The teenager told a treasure trove hearing in Belfast today he initially thought the engraved finger ring was a ring pull from an old fizzy drink can. "Only when I was putting the soil back into the hole did I notice this wee thing sticking out," he said. "You know I thought it was a ring pull, off a Coca Cola can." The item was in fact a ring that experts at the Ulster Museum in Belfast have dated to circa 1170. The Sandford farm lies on land adjoining Kilmore parish church - an area acknowledged by archaeologists as a significant medieval settlement. Such cases are held before the Coroners Court in Northern Ireland to determine whether the items are treasure and thus belong to the Crown. In order to qualify for that status, the artefact has to be more than 300 years old and be 10% constituted of precious metal. Mr Bourke told coroner Brian Sherrard he could date the ring to at least 1170 and revealed that tests had showed it to be around 90% silver. However, the expert later estimated its current value would be in the hundreds of pounds, not thousands. Ruling that the ring was indeed treasure, Mr Sherrard commended Mr Sandford for realising the significance of the find and for the honourable way in which he had handed it in. "It's as well it wasn't thrown away as a ring pull as it nearly was," he added. The ring will now be valued by a treasure committee in London, which will determine an appropriate reward for the Sandford family. Mr Sherrard asked Conor's father William if there had been any more significant finds on his land. "Unfortunately not," he said ruefully. "And I have been looking all my life." Belarusian authorities plan to restore a 14th-century castle in Lida, Hrodna region. The necessary design work is expected to be completed by July, Natallya Branets, scientific director for the project, told BelaPAN. According to her, the project provides for the renovation of the surviving tower of the two-tower castle. The other tower would be rebuilt and so would be the barracks, storehouses, blacksmith shop, horse stalls, gallery and two medieval wells that were located in the courtyard, Ms. Branets said. The restored castle will house a museum of medieval traditions and art, a tourist agency, a knights club, a café and a gift store, Ms. Branets said. Theatrical performances, knights tournaments and sports events will be held in the courtyard, she said. The project may be completed by the fall of 2010 if there is sufficient funding, Ms. Branets said. The Lida Castle was one of several citadels build by order of Grand Duke Gediminas in the 1330s to defend the Grand Duchy of Litva against the expansion of the Teutonic knights. Situated on a sandy hill, the site of the castle is naturally protected by the Rivers Kamenka and Lida. A 20-meter moat and a lake were later added to its defenses. Despite its strong fortifications, the castle was repeatedly taken by invading armies. After a fire in Lida in 1891, the castle's southwestern tower and parts of its western wall were torn down to provide stone for repairing fire-damaged houses. 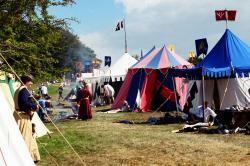 Battle cries and canon fire will thunder from Herstmonceux Castle for its 17th medieval festival. The event, from August 29 to 31, honours 500 years since the accession of Henry VIII, last of the medieval monarchs, to the throne. More than 1,000 re-enactors dressed in battle gear will take part in castle sieges. Jousting with knights on horseback is also planned – a favourite pasttime of Henry VIII. Mounted skill-at-arms competitions are also sure to woo crowds. Clive Geisler, the festival's event director, said: "England's Medieval Festival has grown fantastically since its humble beginnings in 1992. The first festival was held over a couple of hours on a Sunday afternoon. We had half a dozen re-enactors involved in some skill at arms displays, and it proved to be quite popular with the public. When we repeated the exercise the next year, it proved to be even more popular and it just grew from there." Authentic living history areas will let visitors enjoy the sights, sounds and tastes of medieval kitchens. Ancient crafts, such as the making of chain mail and boots, are likely to fascinate festival visitors. Wandering jesters, minstrels and dancers will entertain both young and old. Crowds will also get the chance to see ancient hunting skills with falcons and other birds of prey. Last month the University of Ghent in Belgium hosted the Eighteenth Colloquium on the History of Egypt and Syria in the Fatimid, Ayyubid and Mamluk Eras, an annual meeting of international experts on the history of Islamic Egypt and Syria in the Islamic 'middle' period (1000-1500). The colloquium was organized by Jo Van Steenbergen and Urban Vermeulen, included nine sessions with 22 papers, and was attended by over 30 scholars. Some of the papers given included "Hebron during the Mamluk period: sacred places, iqta‘ and royal investment", by Yehoshua Frenkel, and "Abandoned Military Equipment in Mamluk Citadels and Castles: documentary and archaeological evidence for an untidy habit,” by David Nicolle. For the full program schedule, click here. Professor Van Steenbergen said in an interview with Medievalists.net that "we thought that the papers were all of high quality, offering many new insights into general or specific aspects of the region's history and generating many questions and stimulating debates." Asked about how these colloquiums have developed a better understanding of the medieval era for Egypt and Syria, Professor Van Steenbergen replied, "I think the colloquiums have grown over the many years into a very stimulating and friendly occasion for many scholars of the Fatimid, Ayyubid and Mamluk Eras from Europe and beyond to meet each other on a regular basis, to familiarize themselves with each other's work and engage in constructive scholarly exchanges, and to present results at various stages of one's research. As such, amongst many other things I think it has been extremely helpful for many scholars to see more clearly the process of continuities and changes within which their individual research topics have to be situated." Peeters Publishing will continue its support of the colloquiums by publishing its proceedings. The volume covering colloquiums 14 and 15 will be published this summer, while this year's proceedings will likely be published in 2011. Next year's colloquium is scheduled to take place from May 5th to 7th.